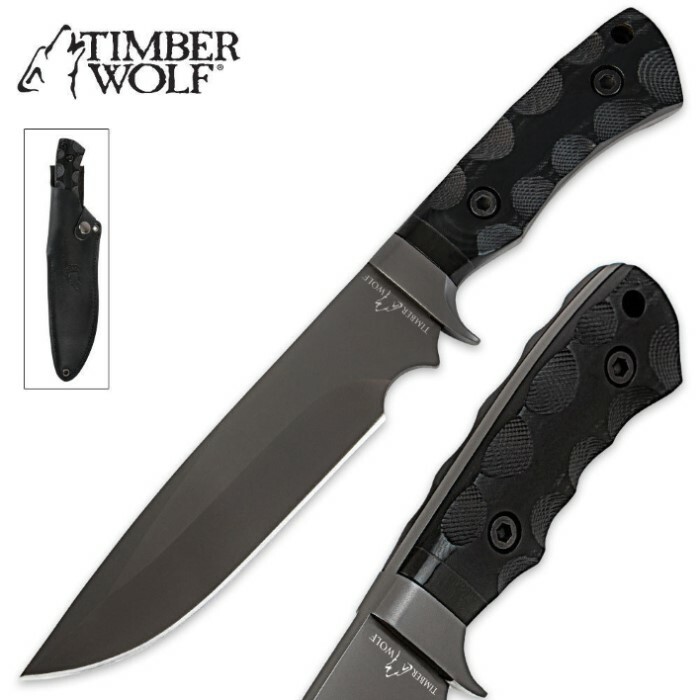 Timber Wolf Tactical Ranger Bowie With Sheath | BUDK.com - Knives & Swords At The Lowest Prices! Timber Wolf continues its impressive tactical lineup with this brand new Tactical Ranger Bowie knife featuring hefty, full-tang blade construction. The 6 1/4" sharp, stainless steel blade has a drop point design with a non-reflective grey titanium finish. High-polish genuine buffalo bone inlays add a touch of elegance to the rugged Micarta handle scales. Store and carry it in the included leather sheath. You need a tactical bowie that you can count on and this Timber Wolf Ranger has you covered! Nice, thick full tang blade, quite sharp out of the box. Will take a lot of use. Might want to put a layer of friction tape on the handle, it is fairly hard material, but does fit the hand well. 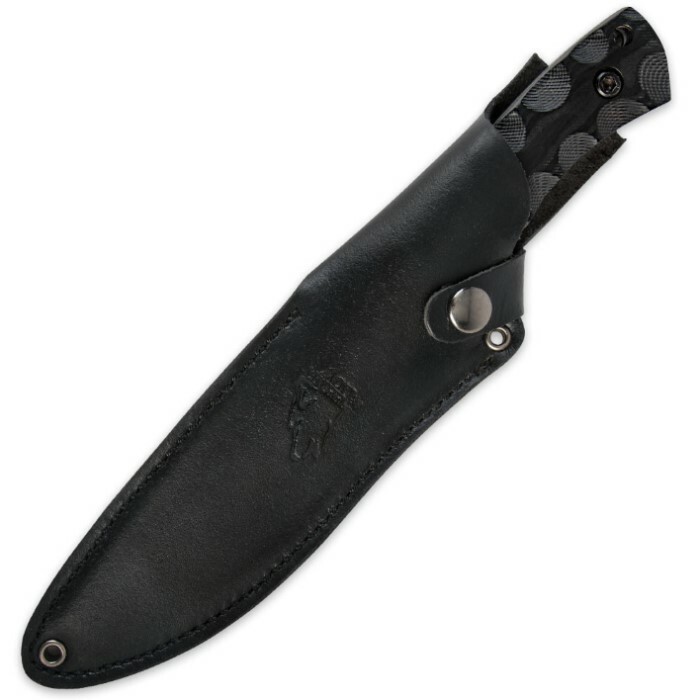 Didn't see a need to reshape the edge, this will be a good all around carry knife, not too big, not too small, heavy enough to hold up to what ever you want to use it for within reason.